Consultations are complimentary for haircut, hair color, and chemical services. We usually allow 15 min. Wedding consultations take longer and a hairstyle or make-up may be tried out. Wedding consultations usually last 30-45 min each and are $45. Make-up consultations are $35 and last approximately 30 min.Longer consultation times if required by the client will result in an increase in price. Underground request a 24 hour notice of cancellation. 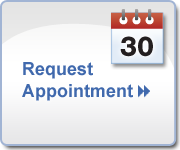 Clients that showing up over 20 min late for their appointment may be asked to reschedule their appointment. 150 per hour, minimum two stylists. Price of wedding hair and make-up and practices vary acording to the stylists experience and demand.Please ensure upon booking your price range,our guest services will assist you in this.